The Shelter 501 II has received high praise in the audiophile circle and from us - we like it a LOT! Highly Recommended! The Shelter 5000 is a nice step up from the 501 II and a great mid priced cartridge. The Lyra Delos may be the entry level cartrdige from Lyra but it performs like a much more expensive cartridge. Highly recommended! Koetsu Black Goldline for a warm full bodied sound! The Shelter 7000 is sure to put a smile on your face and fine music in your ear! 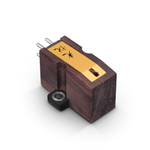 The Koetsu Rosewood Standard delivers high performance analog playback! 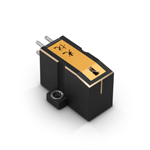 The Shelter 9000 phono cartridge delivers high end sound for audiophile vinyl rigs! 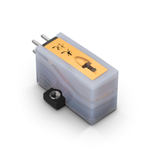 The Lyra Kleos is one great phono cartridge and comes in both Stereo and Mono versions. Highly recommended! The Shelter Hrmony Phono Cartridge is a vinyl junkies dream. Beautiful big, full sound! The Koetsu Rosewood Signature delivers a soundstage and then some! 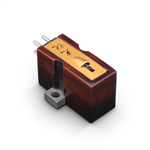 The Koetsu Urushi phono cartridges deliver the excitement of the music! The Koetsu Rosewood Signature Platinum offers much of what the stone body models do - for less$$$! One of the finest cartridges currently available and our favorite! Beautiful to look at and even more beautiful to head, the Koetsu Stone body cartridges are awesome! 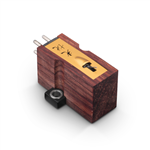 The Lyra Atlas is their flagship MC phono cartridge.